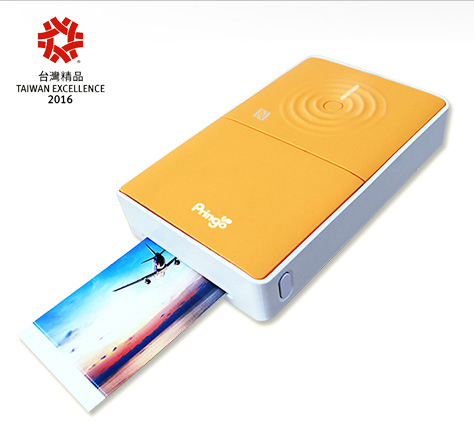 P232 WiFi NFC Portable Printer - ACE Peripherals ::: Completing I.T. One touch printing – smart NFC for instant connection. Wireless printing from mobile devices and Prinfan cloud. Rechargeable battery, up to prints per charge. USB power bank compatible. Dye-sub technology – professional photo quality, UV resistance, waterproof, fingerprint proof, and fade proof. Add photo decorations with our exclusive gold or silver metallic layer. Colorful, trendy and cute design in berry and mango color. Instant photo! Instant Fun! Easy to share your happiness any time anywhere. New technology brings great visual experiences. Dye sub technology enables long-lasting, water- proof, UV resistance and fingerprint-proof photos. 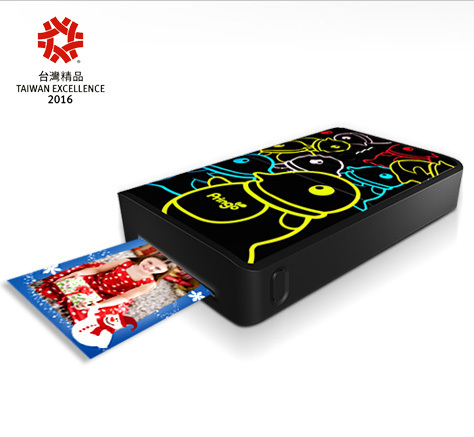 Power saving and longer battery life, up to 50 prints per recharging. The powerful Prinsnap (Android only) and Pringo App are compatible with iOS and Android system, include various filters, exclusive frames and stickers. Easily customize your photo with adding QR codes to embed information or creating gift cards. Unique metallic layer adds value to your precious photos and makes more fun. Two films: Photo paper and sticker offer stunning instant pictures with affordable price. WiFi connection enables you to print and share at any occasions easily. 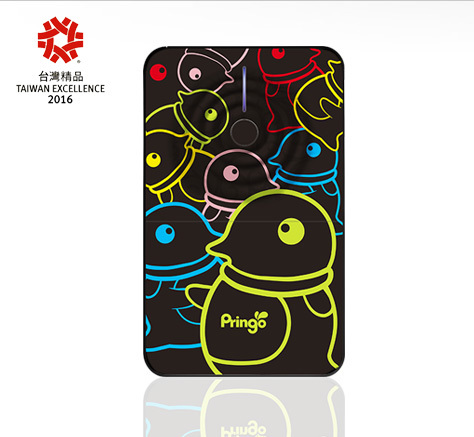 Tap your smart phone on the NFC tag on the Pringo to run the app for instant photo printing. ※ NFC is available for compatible Android devices. Free unlimited cloud album, Prinfan, allows you to preserve happiest moments instantly without data compressing. *Features and specifications are for reference only and may be subject to change without notice. card/gift card and have more fun .